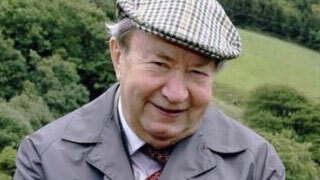 Peter Sallis, who passed away June 2nd, may have been born in London, but it was his association with the north of England that brought him worldwide fame. For 37 years Sallis portrayed the flat-capped unassuming Yorkshireman, Clegg, in Last of the Summer Wine, appearing in each and every episode of the series. For 18 of those years, Sallis, who was close to 90 when he retired, also voiced a Lancastrian inventor, Wallace, whose love of cheese was only surpassed by his love for his four-legged canine friend, Gromit. Wallace and Gromit introduced Sallis to a whole new viewing audience. It also garnered the by then 85-year-old a trip to Hollywood to attend the 2006 Academy Awards, where Wallace and Gromit: The Curse of the Were-Rabbit won Best Animated Feature Film. The trip was curtesy of Wallace and Gromit creator Nick Parks, in appreciation for Sallis’s work. Sallis’ and Parks’ collaboration first began in the early 1980s, when Park, who was a 23-year-old student, called Sallis and reportedly offered him the grand sum of £25 (about $32!) to be the voice of Wallace in a short animated film he was making. 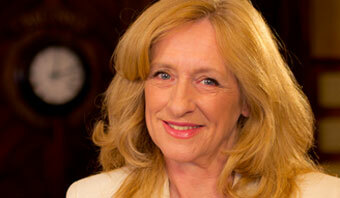 To Parks’ surprise, Sallis agreed! Six years later, it was Sallis’s turn to be surprised, when he received a call from Parks to say his film – Wallace and Gromit: A Grand Day Out - was finally finished and ready for Sallis to voice the character! Sallis stuck to his word and continued to voice the character until he retired in 2010. Sallis’s acting career was a long one. He started acting during the war when he was stationed at RAF Cranwell in Lincolnshire and appeared in his first play; the Noel Coward comedy, Hay Fever. At the end of the war, Sallis trained at the Royal Academy of Dramatic Art and after leaving was able to find minor parts in films and on stage. He first appeared on television in 1947, as Peter Quince, in a filmed stage production of Shakespeare’s A Midsummer Night's Dream and from then on continued to get mainly minor television parts throughout the 1950s, and ‘60s, and ‘70s. Sallis also continued his stage career, including a stint in the 1968 West End premier of Cabaret, where he played Herr Shultz (Judi Dench played Sally Bowles). 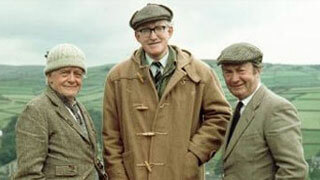 In 1973 life changed drastically for Sallis, with the airing of the pilot episode of a slow-paced comedy about a trio of retirees called Last of the Summer Wine. Writer Roy Clarke reportedly had Sallis in mind when he wrote the character of Clegg and it was a role that fit him like a glove. The LOTSW filming schedule took Sallis to Holmfirth spring and summer, leaving him time for other acting projects, such as the 47 episodes he made starting in 1988 of The Wind in the Willows, where he gave voice to the character "Rat". According to a statement issued by Peter Sallis’ long time agency, Jonathan Altaras Associates, the actor “died peacefully, with his family by his side”. At the time of his death, Sallis was living at the Denville Hall retirement home for actors in London.